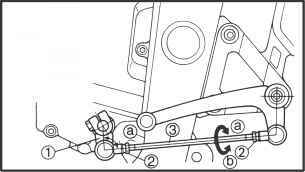 Recommended brake component replacement schedule Every two years and whenever the brake is disassembled. brake caliper pistons Rust scratches wear -brake caliper. brake caliper cylinders (2) Scratches wear Replace the brake caliper. brake calipers (3 Cracks damage Replace. 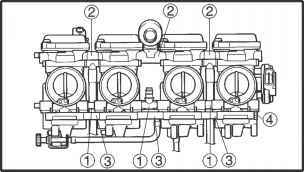 brake fluid delivery passages (brake caliper body) Obstruction Blow out with compressed air. 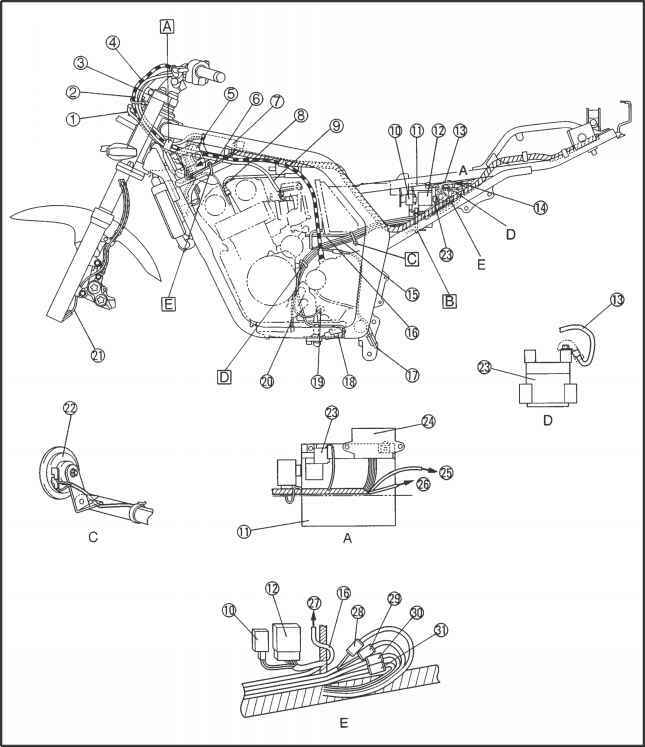 Securely support the motorcycle so that there is no danger of it falling over. Both wheels should be on the ground without rider on the motorcycle. 2. 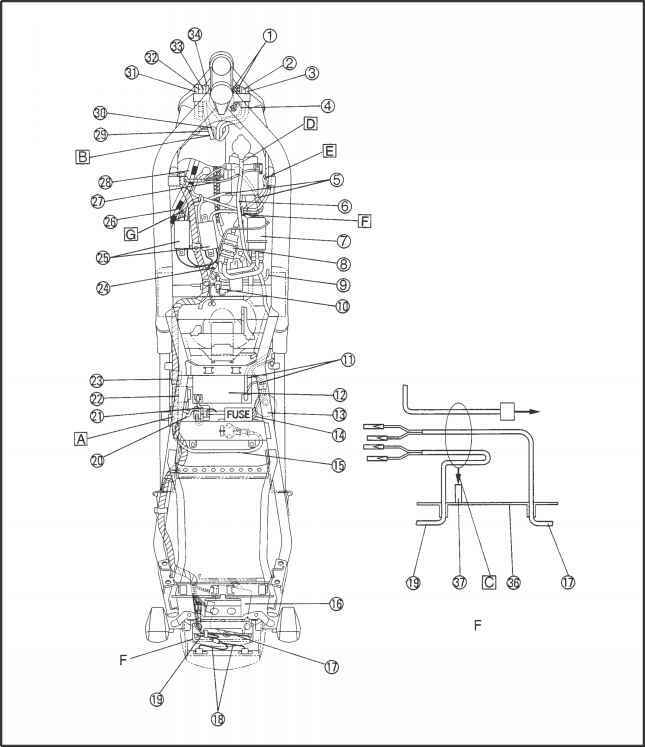 Rotate the rear wheel several times and check the drive chain to locate its tightest point. drive chain slack a Out of specification Adjust. b. 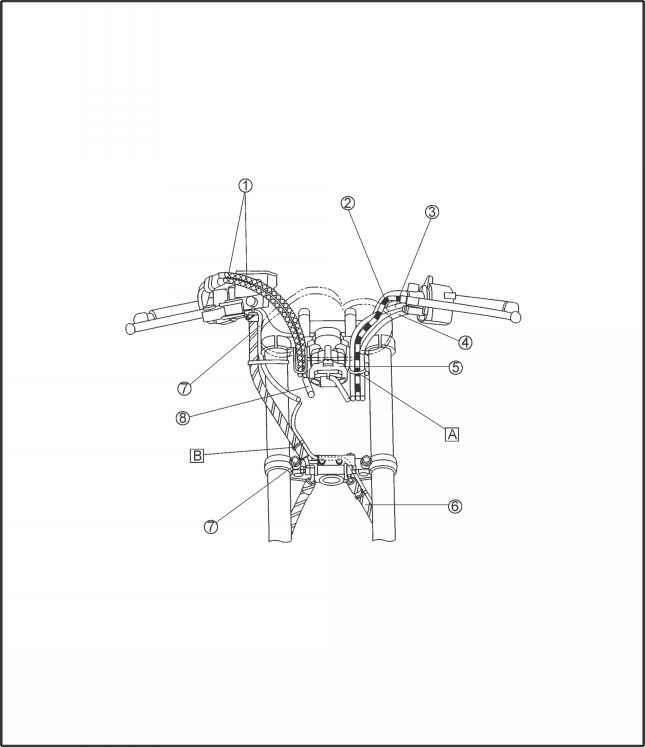 Turn both adjusting nuts in direction or until the specified drive chain slack is obtained. Start the engien, warm it up for several minutes, and then turn it off. 2. 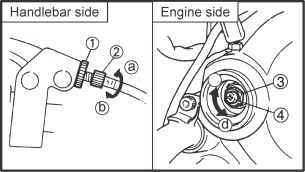 Place a container under the engine oil drain bolt. 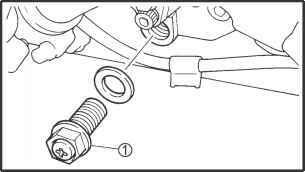 engine oil drain bolt 2 along with the gasket 5. If the oil filter cartridge is also to be replaced, perform the following procedure. a. 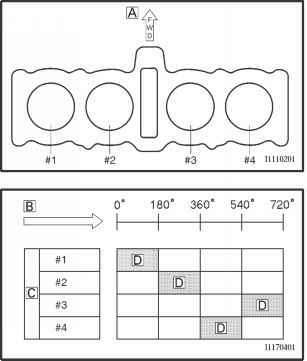 Remove the oil filter cartridge with an oil filter wrench lt 2. b. Apply a thin coat of engine oil onto the O-ring of the new oil filter cartridge. 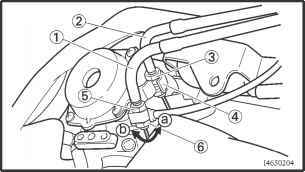 Check brake pedal position distance from the top of the rider foot-rest to the top of the brake pedal Out of specification Adjust. Brake pedal position below the top of the rider footrest 36.6 mm Brake pedal position below the top of the rider footrest 36.6 mm b. 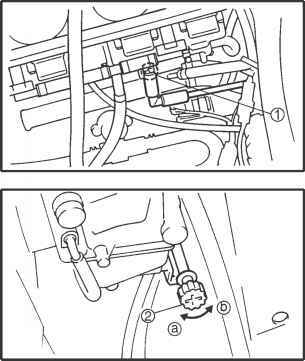 Turn the adjusting bolt 2 in direction or until the specified brake pedal position is obtained. Direction a Brake pedal is raised. Direction Brake pedal is lowered.